Ljubljana, Slovenia, 20th June 2010. Today H.H. 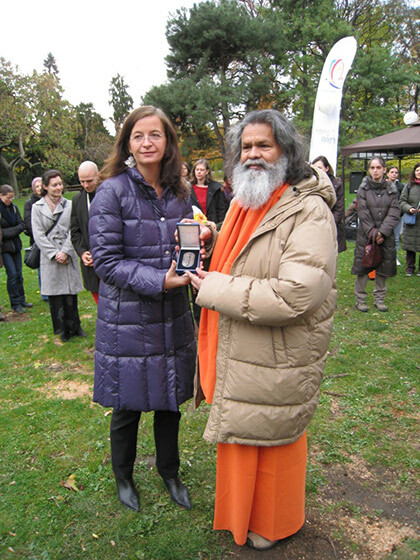 Vishwaguru Mahamandaleshwar Paramhans Sri Swami Maheshwarananda concluded a week long visit to Slovenia. 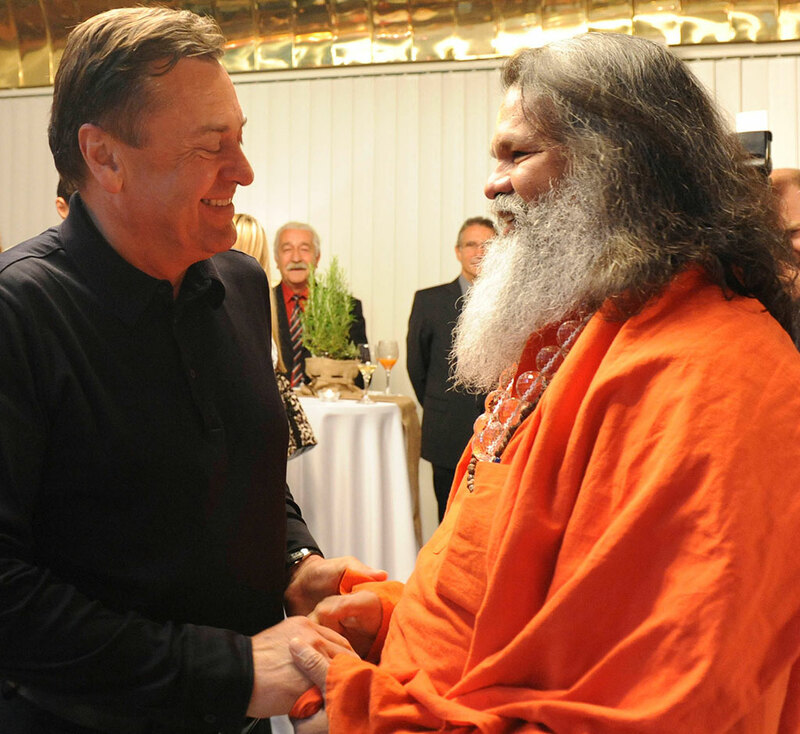 During his peace-tour throughout Austria, Slovenia and Croatia, H.H. 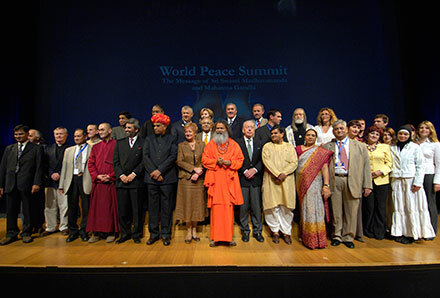 Swamiji planted world-peace trees in five cities together with local representatives of government and religions. 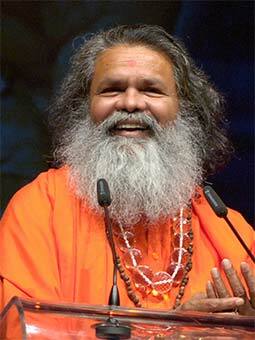 He held numerous satsangs and lectures on Vedic culture and Yoga for thousands of people. 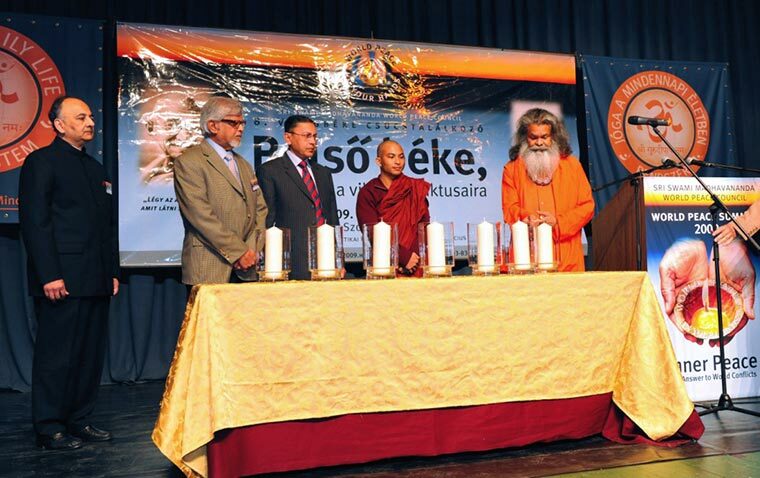 From 2nd-4th October, 2009, the World Pecae Summit – The Message of Mahatma Gandhi and Sri Swami Madhavananda took place in the city of Szombathely, Hungary. 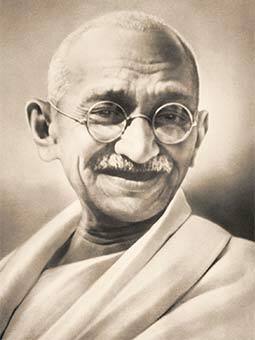 Mahatma Gandhi and His Holiness Sri Swami Madhavananda were outstanding spiritual leaders of our time, and their messages of peace, nonviolence and truthfulness is more than ever relevant to our troubled world. 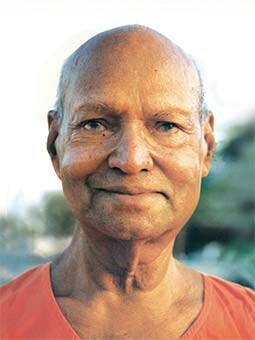 On October 5, 2002 the first International Conference of World Peace and the Message of Mahatma Gandhi took place in Vienna, Austria, initiated by Swamiji as one of his greatest contributions to these efforts. His Holiness Swamiji had an extensive and amicable talk with the President. They exchanged in particular their views of a multi-cultural, multi-national and multi-confessional environment as it exists in Bosnia & Hercegovina as well as in India. Tolerance, respect and understanding are the base of a peaceful living together in every community, and especially in such a multi-ethnic situation.